Online mass customization is one of the topics, which has been extremely popular since the turn of the twenty-first century due to the rise of electronic commerce and consumer confidence in co-designing products. 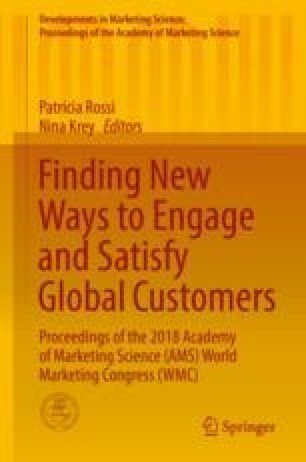 Consequently, multiple researchers have focused their attention on the topic of mass customization in a bid to understand antecedents and precedents of consumer behavior, given that consumers are the critics and creators of the products they customize. Based on the consumption value (Sheth et al. 1991) and integrated framework of SOR by Fiore and Kim (2007), researchers examined possible perceptual discrepancies between mass-customized product (MCP) purchasers and non-purchasers. The aim was to understand the personal traits and value perception between purchasers and non-purchasers regarding MCP to better strategize the business directions for the MCP industry, particularly the MCP fashion industry. Among 504 online survey participants, we achieved usable sample of 231 for data analysis. To measure the perceived value of a MCFPs in comparison to an “off-the-rack” product, we adopted four items for monetary, six for performance, five for emotional, four for social (Sweeney and Soutar 2001), and three for epistemic values (Sheth et al. 1991) on a seven-point scale, one being “strongly disagree” and seven being “strongly agree.” Prior MCP purchase experience, familiarity with mass-customized products, and demographic questions were also asked. Independent sample t-tests, comparing the mean score of each value dimensions revealed that MCP purchasers exhibited significantly higher mean score on monetary value, compared to non-purchasers (Meanpurchasers = 4.48 vs. Meannon-purchasers = 4.15). This implies that monetary value might have been the discriminant factor between purchasers and non-purchasers, which is in line with the previous findings. For other dimensions of value perception of MCP, two groups did not differ in means scores statistically (p > .05).